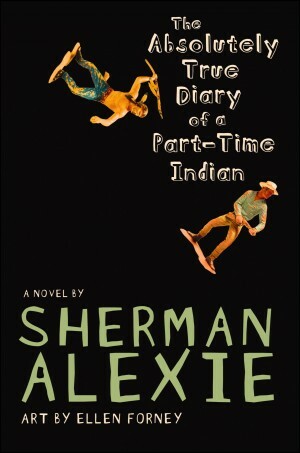 Following this week’s news of yet another challenge to Sherman Alexie’s The Absolutely True Diary of a Part-Time Indian, CBLDF has once again joined with the other coalition members of the Kids’ Right to Read Project to defend the book. Ahead of tonight’s school board meeting in Brunswick County, North Carolina, where community member Frankie Wood plans to ask that Absolutely True be removed from school libraries and the curriculum, we have signed on to a letter reminding the board of its obligation to all students and the First Amendment. CBLDF joins coalition efforts like these to protect the freedom to read comics as well as other formats. Censorship manifests in many ways, and the unique visual nature of comics makes them more prone to censorship than other types of books. Taking an active stand against all instances of censorship curbs precedent that could adversely affect the rights upon which comics readers depend. Wood, who has no children in Brunswick County schools, told the local newspaper that she objects to the book because it mentions masturbation and because “[w]e don’t use these words in Christian homes.” She has circulated a petition in several area churches to have the book removed from public schools. The Brunswick County school board might remember KRRP from the last letter it received about six months ago, when Alice Walker’s The Color Purple was challenged by a local county commissioner. In that case the board ultimately voted to keep the book in the curriculum, and we certainly hope they will do the same with Absolutely True. The entirety of the latest letter CBLDF signed follows.